Library & Archives Preservation in the heart of the Heartland. Neither snow nor rain nor heat nor gloom…but what about fire? Every library that participates in interlibrary lending has experienced some damage to collection materials at some point in time. There are, of course, the usual signs of damage we expect in circulating collections like beverage stains, something sticky on the covers, and dog chew. Then there is the damage caused during transit. We have received books in their packaging that look as if they have been run over, others that were wet, and once we received a book soaked in meat juices. But considering the amount that this library lends and borrows, the percentage of damaged materials is low. Breaking news: A USPS truck from Ames, Iowa headed to the Des Moines, Iowa USPS sorting facility caught on fire on Interstate 35. The good news is that the driver walked away uninjured. The bad news is that ISU Library had twenty-four packages on the truck. The packages contained books being interlibrary loaned to other libraries as well as books being returned to various libraries. 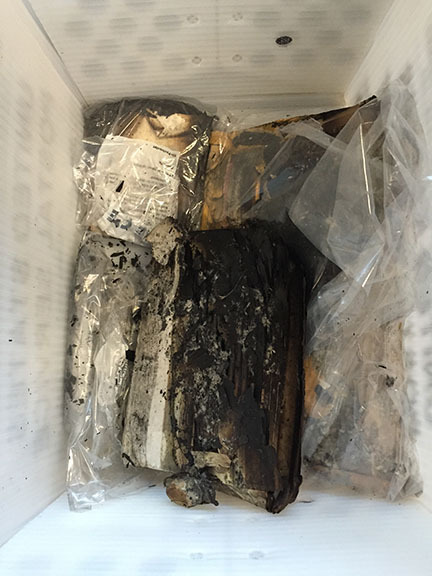 Remains of library books damaged in the USPS truck fire. When I heard the news, I was a little surprised since I had never heard of a mail truck catching on fire. I wanted more details but could not find information on the USPS site or any local media so I simply used a third-party federated search engine (yes, I Googled it). There were more mail trucks catching on fire across the country than I would have guessed, and these hits did not even include the Ames/Des Moines fire at the time of my search. The fire occurred on a Tuesday and the first few packages arrived back at the library on Friday. The items were still in what was left of their packaging and wrapped in plastic. Some were total losses including an old pocket guide to France and a book on Camp Dodge (local history), while a handful were just a little singed, sooty, and damp. Interestingly, one book came back with severely burnt packaging but the book itself was only damp; the subject was witchcraft. More books trickled in over time, some were actually delivered to the receiving library; some libraries immediately returned books to us and other were told to toss them and we would pay to replace them. Through all of this, the books remained damp and tightly wrapped in plastic. Surprisingly, nothing was moldy. I am still perplexed since it is summer in the Midwest. USPS response to the fire and water damage was to spread out all items on wire racks, with halogen lights on the materials (I’m assuming for heat and/or UV exposure) and fans blowing. There was no mention of dehumidifiers running. Then packages were hand sorted and wrapped in plastic. Their quick response must have prevented the mold; although, I still do not understand how the damp books wrapped in plastic that we received a week later did not show signs of mold, not that I am complaining. 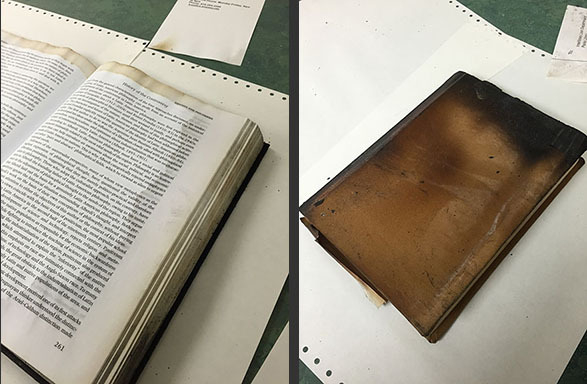 For ISU materials, treatment decisions were easy, and books were air-dried and covers removed. The trickier decisions were what to do with other library’s materials. I thought about what my reaction would be if one of our books was returned rebound or repaired without my approval, and decided that 1) I might question their judgment and ability to properly treat materials, and 2) my level of acceptable damage that I can live with may be very different from theirs, so I tended toward recommending replacements if the books was relatively new and treatment if it was just a little stained and could be air-dried. Our head of Resource Sharing communicated with all of the libraries affected by this fire, but none of them were very forthcoming on whether or not they wanted us to treat their materials or simply pay for replacements. While waiting for responses, these books were also air-dried and flattened. 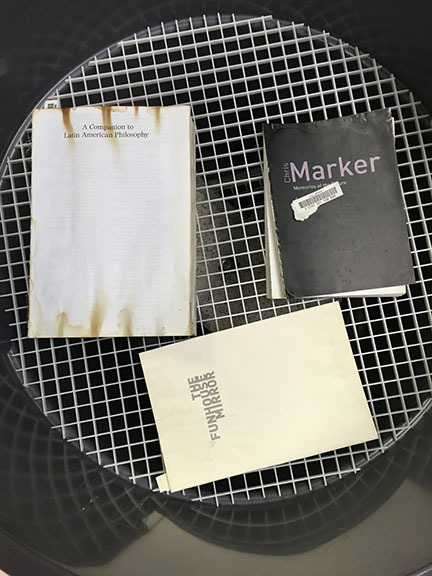 The lab started to smell like a bar-b-que because of the charred books. The fumigation trashcan was set-up with Gonzo odor removal bags, the books were placed inside on grates, and the trashcan sealed tightly. After a few days, the Gonzo was replaced and after several more days the books had a less strong smoky odor, but still noticeably smoky none-the-less. Damaged books arranged in the fumigation trashcan. This incident is really making me rethink interlibrary lending of any Special Collections and University Archives materials. In general, we only lend reference materials and University Archives books that are replaceable, but books in the Archives are our faculty publications which are more valuable to us than they are be to other libraries that have them in their circulating collections. Most, if not all, of these titles are available through other libraries, so I do not feel bad sending the request on to the next lending library. Sometimes things in life just seem to strangely intersect. Earlier this summer, the chair of the Library Advisory Committee, Heidi Hohmann, asked me about treating large landscape architecture plans and happened to mention the fact that Iowa State University was starting the first historic preservation program in the state. This set off some bells in my head since someone else had just mentioned looking for opportunities in historic preservation in the state. Although it’s not my area of expertise, even though many confuse historic preservation with library and archives preservation, it is an exciting opportunity to have like-minded folks on campus; others who will not ask why we shouldn’t just make or build a new one and who understand that there is information and history in the object itself. This new program may be coming to campus at just the right time since the university has a wonderful example of its own that showcases why historic preservation is so important. With some intervention by a not-for-profit organization, ISU is saving a historical structure that was once used as a geology field studies station by ISU students and researchers outside of Shell, WY. The building was slated for destruction when the Heart Mountain Wyoming Foundation found out about the plans. The historical structure is an original barrack used at the Heart Mountain Relocation Center during World War II, located between the towns of Cody and Powell, WY. ISU acquired it in the late 1940s after the town of Gryebull no longer needed it. Many of these barracks were sold off by the federal government after the war for $1 each to homesteaders. Because of this, some of the 450 barracks that were built at Heart Mountain continue to exist today as outbuildings, stores, and houses. ISU is donating the structure so that it can be returned to the Heart Mountain Interpretive Center and used as part of the permanent exhibit. The Foundation will be responsible for moving the 20 feet wide by 120 feet long barrack the 81 miles back to Heart Mountain. In addition to being complete, the barrack is a good is candidate for historic preservation since it has had few modifications made to it over the past 70 years. Another barrack from Heart Mountain was reassembled in Los Angeles next to the Japanese American National Museum in 1994. 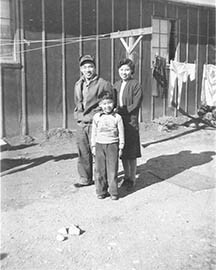 Saichi, Suzuyo, and Eddie Seo in front of barrack at Heart Mountain Relocation Center. For me, this effort is most significant because Heart Mountain is where my family (my grandparents, parents, aunt, and uncles) was incarcerated during the war. The irony of the photograph above with my grandparents and my father is that my father, an American citizen along with my grandmother, is wearing a Superman sweatshirt. My maternal grandfather, Umitaro Ibaraki harvesting tomatoes with Hearth Mountain in the distance. 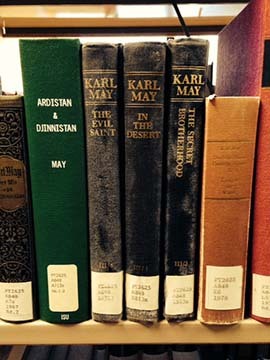 Photo from Northwest College Hinckley Library Special Collections, Ethel Ryan Collection. My family discovered a photograph of my maternal grandfather working in the fields at Heart Mountain. The photo had been made available online without identifying the man, and my family member provided the name. A good example of how invaluable it can be to have users identify events, places, and people in photographs. The photograph is part of the Ethel Ryan Collection which has been made available through their Heart Mountain Digital Preservation Project, which happens to powered by CONTENTdm like ISU Library’s digital collections. This collection includes documents and photographs focusing on Heart Mountain Relocation Center. To kick things off, an little reminder that Iowa State University Library is searching for a permanent, full-time professional library and archives conservator who specializes in book and paper conservation. We are looking for a conservator with training and experience in conservation of rare books. archival materials, and general collections. A Master’s Degree in Conservation, Library Science or related field is required. The opportunity for promotion exists for this position based on performance and external reputation developed through service to the profession such as committee work, and/or scholarship in the field. The Conservator manages a hybrid conservation lab, supervises staff and students, trains the annual Lennox Foundation graduate intern, works with Special Collections staff to identify and prioritize treatment, performs conservation treatment on rare books and archival collections, stabilizes and prepares materials for exhibit and digitization, leads the library disaster response team, and participates in the Iowa-wide disaster response team (IMALERT). Oversees the spending of dedicated supply/equipment and out-sourced conservation budgets. 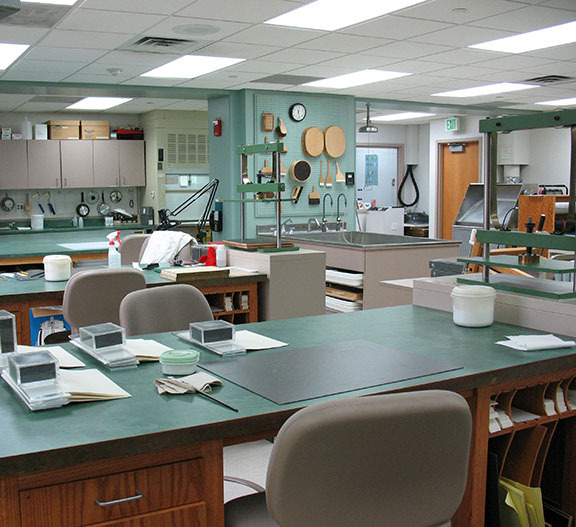 Our well equipped lab is located on the fourth floor (not the basement) along with Special Collections and University Archives, and is over 3,400 square feet including office and storage space. It is an exciting time in the library as we prepare to welcome our new Dean of the Library, Beth McNeil, who seems to get that sparkle in her eyes when we talk about our rare and unique materials. A new strategic plan has been drafted that not only focuses on service to our users but also gives attention to our staff and a healthy workplace. There has been an influx of new and energetic staff as hiring has increased not only in the library, but across campus. Construction is happening on campus and throughout Ames as the university attracts more students, faculty, staff, and businesses. 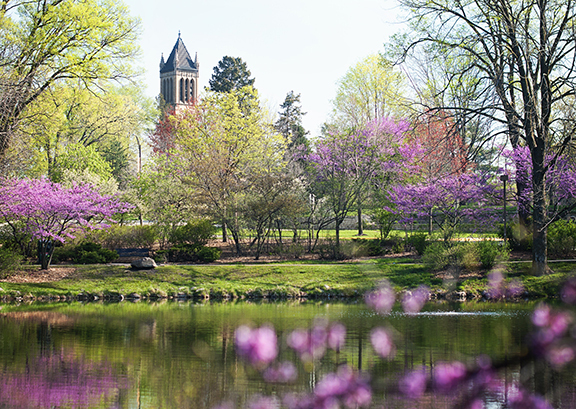 And of course, it’s spring on one of the most beautiful campuses in the country. (The campus was awarded the American Society of Landscape Architecture medallion award given to outstanding landscape sites). Although this is not a faculty position, there is a lot of useful information about ISU and Ames provided by the Provost’s Office here: https://www-provost.sws.iastate.edu/isu-advance/faculty-searches/fac-cand and Professional & Scientific employee benefits from Human Resources: http://www.hrs.iastate.edu/hrs/node/579/attachment. We said goodbye to Melissa, our conservator, last week. She will be heading off to Delaware to serve as the Library Conservator at the Winterthur Museum, Garden & Library, and as Affiliated Faculty for the Winterthur/University of Delaware Program in Art Conservation. She will be shaping the minds, philosophical approaches, and conservation skills of our future library and archives conservators. I know that she will do a great job not only teaching them book conservation techniques and the research that informs the approach to treating unique items and their problems, but also a sensitivity to the context and setting of these objects when making the treatment decision. She had a lot of exposure to this kind of decision-making while juggling the needs of our special collections materials and general collections, having to prioritize workflows for exhibits, digitization, disaster salvage, general book repair, and conservation treatment and housing for a wide variety of artifacts. 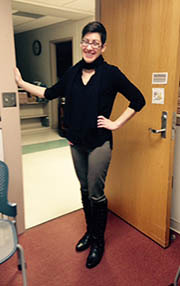 After graduating from the University of Texas at Austin Kilgarlin Center for Preservation of the Cultural Record with her MLIS and specialization in conservation, and interning at the University of Illinois Urbana-Champaign, Melissa joined the ISU Preservation Department at the end of 2009. 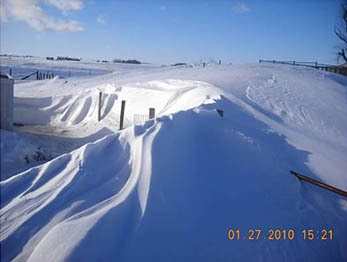 In 2010 she was greeted with one of the snowiest winters in central Iowa from January to March and a flood in August that resulted in thousands of flood damaged architectural drawings requiring treatment. We were certain she would leave after that, but she stuck around for four more years and we are grateful for everything she accomplished, and of course, her boot collection–turquoise cowboy boots, polka dot rain boots, snow boots, hiking boots, fashion boots, you name it. Without launching into a litany of accomplishments, and there were many, I want to highlight something that Melissa managed to do that I thought would be impossible. When Melissa started at ISU, she kept having to correct her colleagues as to which public university in Iowa she represented. She took it upon herself to put the ISU Library Preservation Department “on the map.” She started our social media presence and launched our Facebook page and this blog site which has received national recognition. With a little help from her co-workers and the joint 1091 Project with Beth Doyle at Duke University, she was able to share the goings-on in the department with other conservators, preservation specialists, students, library staff, and the general public. The blog now has 368 posts, 686 comments, 76 followers, and 136,420 all time views. She did it! She reached a lot of individuals who may or may not have known that the department existed or were uncertain as to what we do. We are less often mistaken for that other Iowa university to the east of us. We will miss Melissa and her many boots! 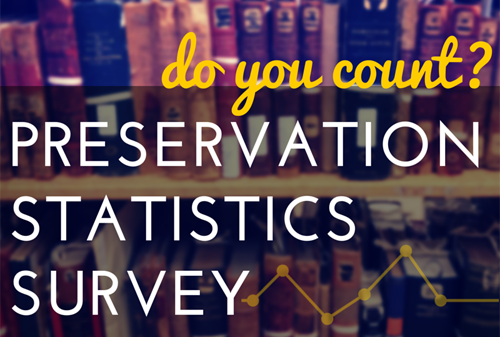 There’s still time to participate in the Preservation Statistics Survey. This is the third year this survey is being made available and we would like to increase participation to gather data that shows how preservation activities are expanding and still an essential function of research libraries and archives. Any library or archives in the United States conducting preservation activities is encouraged to participate in this survey, which is open through Friday, February 27, 2015. FY2014 Survey questions focus on production-based preservation activities, documenting your institution’s conservation treatment, general preservation activities, preservation reformatting and digitization, and digital preservation and digital asset management activities. The goal of the Preservation Statistics Survey, now in its third year, is to document the state of preservation activities in this digital era via quantitative data that facilitates peer comparison and tracking changes in the preservation and conservation fields over time. 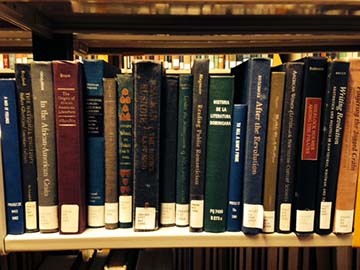 The Survey, a project of the Preservation and Reformatting Section (PARS) of the Association of Library Collections and Technical Services (ALCTS), is based on the Preservation Statistics survey program coordinated by the Association of Research Libraries (ARL) from 1984 through 2008. Why should your institution participate in the FY2014 Preservation Statistics Survey? For those of you who do any sort of preservation reformatting or digitizing you know how time consuming the quality control process can be. Our best practice would be to check completeness and initial quality of the original, especially if we are sending them to a vendor, and then to quality control page-by-page or frame-by-frame the facsimile or digital version. Maybe over time, as we become more confident in our process or the vendor’s, we may choose to do some spot checking or sampling if we are doing a large project. This is the step that is often overlooked when planning a project and budgeting staff time. It seems like such a waste of resources, especially when there are no mistakes to be found. Well, let me tell you a little story and provide a warning. Like many academic institutions, our dissertations were sent to UMI for microfilming dating back to the 1930s. We did not receive copies because the student was required to submit two paper copies to the library (one for general collections and the other for University Archives). In 2006, we caught up with the times and moved to electronic submission of both MA theses and PhD dissertations through ProQuest’s ETD process. At that time, ProQuest made an offer to members of the Greater Western Library Alliance to digitize older theses and dissertations at a reduced cost so full-text versions could be accessed through ProQuest’s Dissertations & Theses database. Our administration decided to have all of our dissertations digitized. We sent nearly 2,000 print titles and ProQuest used an additional 12,000 microfilm titles from their holdings for the project. The majority of print titles were early dissertations that needed a little attention; graphs, charts, and photographs were re adhered, pages mended, and bindings were cut. Because we did not receive digital copies, we never performed any post-production quality control, and also thought that since ProQuest was making these available for sale it would behoove them to be diligent and capture them accurately. Flash forward to the present. Our Digital Repository (DR) was established in 2012, giving us a place to provide open access to dissertations and theses. Administration purchased the digital dissertations from ProQuest and they are being added to the DR by our Metadata and Cataloging staff. Each title page is checked against the record to confirm that the PDF is what it claims to be. Well, so far our diligent MD and Cat staff have identified 15 ProQuest screw-ups. Each dissertation usually begins with bibliographic information and a UMI statement indicating the text was filmed directly from the original and if anything is missing or of poor quality, it is because the author submitted it that way; although, missing pages would be noted. At first the Catalogers were finding minor problems such as no title page, the wrong title page, or missing front matter. Then they started finding parts of other dissertations added in, the wrong dissertation (sometimes from other institutions! ), or, it gets better, portions of two different dissertations, neither of which were the correct dissertation, pieced together. So far it appears that all of the mistakes are coming from microfilm scans from the 1970s-90s, and since we do not hold microfilm copies, I cannot determine if the mistake is with the microfilm original or the scanning process. (ILL requests for two microfilm copies were not received by the time of this post). The incorrect digital versions we were sent are the same ones that ProQuest has made available. Preservation is now scanning these mistakes in-house and adding them to our open access DR. In the near future, the OCLC MARC records for all ISU theses and dissertations will include the URL to the DR object without a URL to the ProQuest version. Researchers will be able to find complete and accurate representations in our DR for free. I would suggest that if your institution has worked with ProQuest to convert microfilm versions, you may want to do some checking of your own. Maybe we should ask ProQuest if they would like to purchase correct digital files from us. Quality control, quality control, quality control! Over the years, we have introduced and highlighted our many wonderful students and interns in the Preservation Department. They perform an immense amount of work, and work that is often mundane or sometimes just icky. Our students have helped us slog through hundreds of fishy smelling architectural drawings after the 2010 floods, they vacuum mold, and they help keep us young. This time I would like to recognize and thank students that work in the Stacks Management unit. 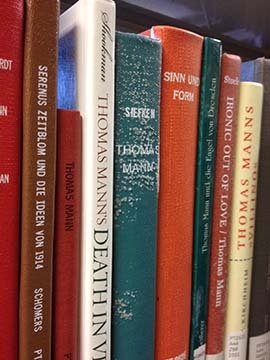 Last week Rylie Pflughaupt, Rebecca Schmid, and Megan Primorse were shifting a portion of our general collection and discovered what they thought was mold on some of our books. Our Stacks students are trained to look for signs of mold, water leaks, and other library concerns, while they are shelving and shifting, and they have certainly caught many problems throughout the years. This time their focus and training alerted us to a mold problem that affected three floors of open stacks. After being alerted to the mold, Stacks and Preservation students also helped us do a walk-through of stacks areas serviced by the same air handler to identify other books with mold. What our Stacks students found looked like a powdery residue on certain books scattered throughout 44,000 volumes. These were not obviously moldy books with entire areas covered in fuzzy, full bloom mold. These looked more like books with old, failed book tape adhesive on the spines or just seriously dusty books. The other mold pattern was a little more obvious. The mold formed clumps or dots that were more three-dimensional. Under magnification you could see the interconnected network and what looked like sporangiophore and sporangium. Our Environmental Health and Safety staff took tape samples off of our books and vents and identified three types of mold in the area. Facilities Planning and Management identified a valve stuck open on a humidification unit, and dampers that were not responding properly. Although we do not know exactly when this bloom happened, looking at our temperature and relative humidity data, we think it happened in late July when the temperature spiked for three days with the corresponding drop in relative humidity and then just as quickly the temperature dropped with the relative humidity spiking, creating warm air and cool surfaces for condensation. This may finally be the event that makes everyone including Facilities Planning and Management take notice. Deferred maintenance (waiting for something to break) of the library HVAC system is not adequate. With all of the additions to the building and expansion of the existing HVAC system and air handling units, environmental conditions in the stacks areas cannot be kept stable under reasonable conditions especially when the system is not functioning at or near 100%. After years of charts and graphs and complaints from Preservation, progress may actually be made because of three observant Stacks students alerting their supervisor to possible mold in the stacks. Library & Archives Preservation at Iowa State University Library. New posts on the last Tuesday of the month. © Iowa State University Library Preservation Department, 2010. Unauthorized use and/or duplication of this material without express and written permission from this blog’s author and/or owner is strictly prohibited. Excerpts and links may be used, provided that full and clear credit is given to Iowa State University Library Preservation Department, with appropriate and specific direction to the original content.